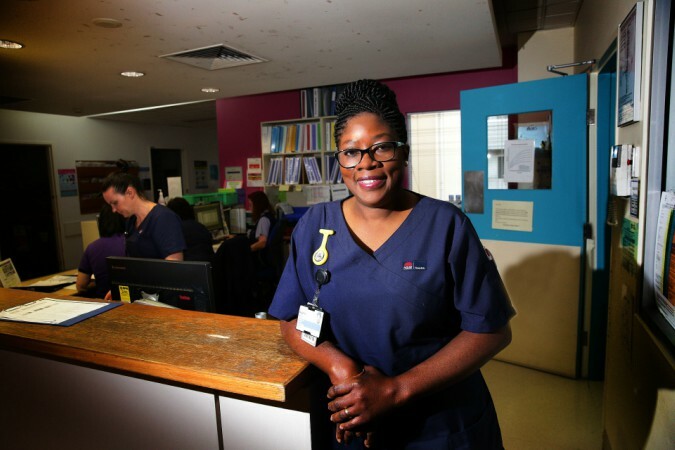 Blacktown Hospital midwife Agatha Osifo. The Blacktown Advocate and Blacktown Sun ran stories on a new cold cap system at Blacktown Hospital, which reduces hair loss in patients undergoing chemotherapy. Westmead’s Crown Princess Mary Cancer Centre created pamper packs for cancer patients, using funds from last year’s Dry July campaign. The Parramatta Sun ran the story with a great photo of nursing unit manager Adelia Fuschini and patient Vicki Dyer. Annie Markey, from WSLHD’s Corporate Communications team, shared her experience of watching a live birth with Mamamia readers. The Blacktown Advocate ran a front page story on midwife Agatha Osifo, who has delivered more than 1000 babies.